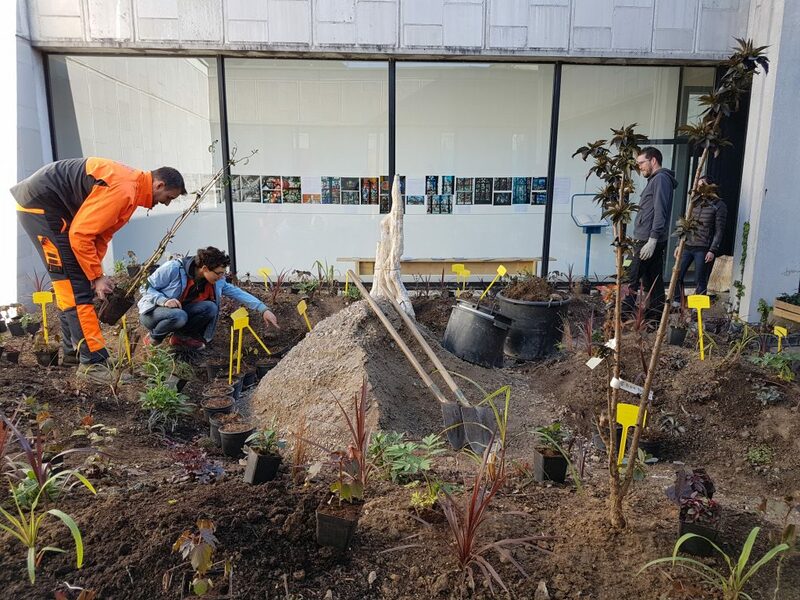 Symbiose is the collaboration between two artists, Marion Richomme and Apolline Grivelet, a group of garden apprentices, and several administrations. It is made of black, purple, brown, bronzed, dark red plants – punks of the chlorophyll bunch. Usually, these marginals are parsimoniously welcomed in ornamental gardens, only as punctuation, for fear of their cumulative darkness. What Apolline shows is by opposition an anthocyanin jungle, extreme and wild. 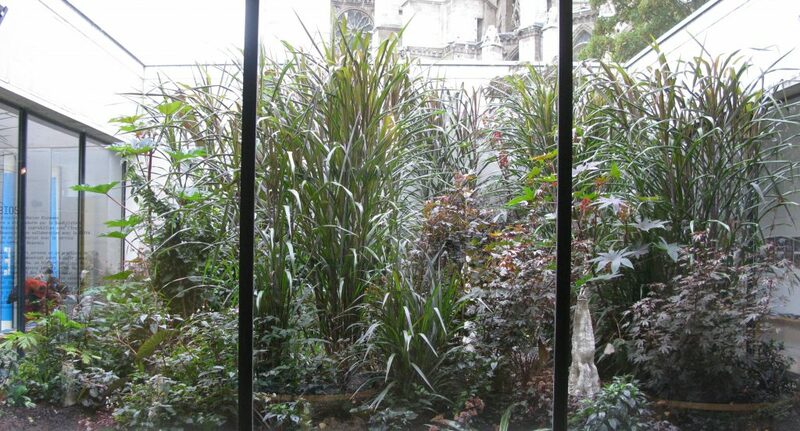 A longing for the unfamiliarity of a strange landscape, for botanical anarchy, for sci-fi exotism. 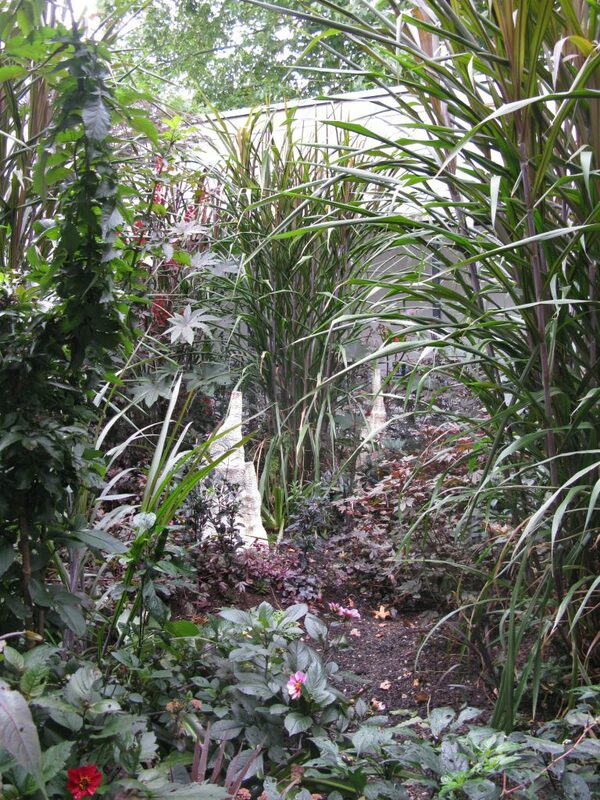 Marion’s white scultpures, human sized, peak trough the foliage. Like so many signs of a ground-born entity, the ceramics’s minerality is almost overwhelmed by life in summer, to be unveilled again in winter. Symbiose is visible all year in the Quadrilatère, Beauvais, France.